Murillo can carry up to 550 passengers and 90 vehicles. The ferry offers excellent services onboard such as cabin accommodation, reserved seating, self-service restaurant, café, pub, solarium, baby changing facilities, heliport, pet kennels, medical service and a shop. Tourist class seats are located in a lounge with a communal TV screen and onboard cabin accommodation is available in standard and club class. 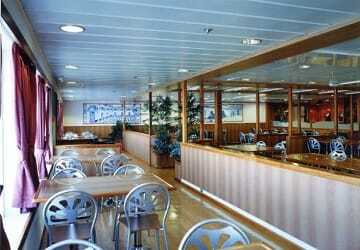 In the self-service restaurant there is a variety of dishes and daily specials on offer. You’ll also find snack and sweet dispensing machines that are available throughout the trip. The 'Corsario' bar and the 'Mediterráneo' bar offer a selection of beers and soft drinks in a chilled-out atmosphere while in the pub there's a choice of refreshing beers with TV entertainment. In the onboard duty free shop you’ll find a range of different products such as souvenirs, books and magazines, confectionary and sweets. 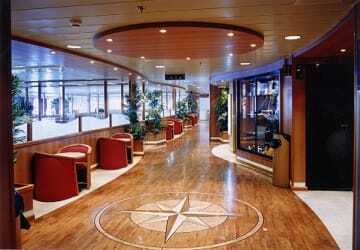 Enjoy a relaxing stroll in the outside deck or top up your tan in the solarium. Please Note: Whilst we have taken great care in making our Murillo guide as accurate as possible, onboard facilities, services and entertainment may vary depending on the date and time of year that you travel, facilities mentioned may change without notification and ferry companies reserve the right to operate vessels other than those mentioned at time of booking without prior notification. "JUST GETTING THROUGH IT (Ibiza to Barcelona)"
We made the crossing in a cabin, which was clean and well equiped. Still, we weren't able to sleep, because of the grinding noise of the pulley (I think). It's a shame, because the service is good and the staff is helpful. 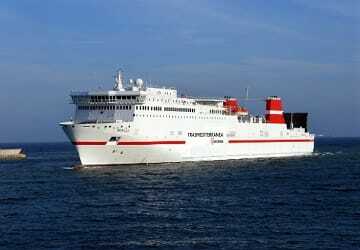 "Ferry: Palma-Barcelona, overnight ferry from 26/04/2014 "
The ferry had in Palma 1 hour delay in arrival! 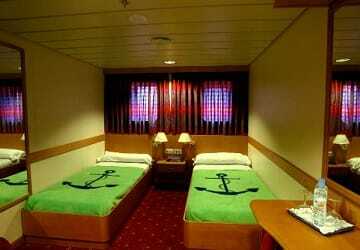 Overall a good crossing with a comfortable cabin and lively bar. However, we were an hour or two late on both departure and arrival. The crossing went well. We waited too long for boarding. It was too expensive. We liked the punctuality, the price of the good, the professionnal attitude of the staff, thanks and see you soon. 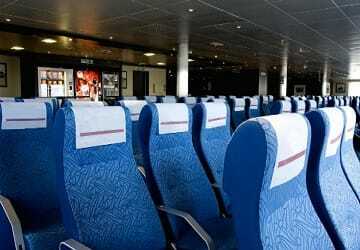 "A crossing with no problems "
"A crush for the boarding passes"
Outward journey by fast boat. From Malaga to Melillia in less than 4 hours. Departure on time and according to schedule. Certainly recommended for everyon and specifically for those who continue their journey in the direction of Nador and beyond. "Crosiign from Lanzarote to Tenerife"
Great way to transport yourself cheaply from Lanzarote to Tenerife. We paid a total €140 for 4 people and a sea view cabin. 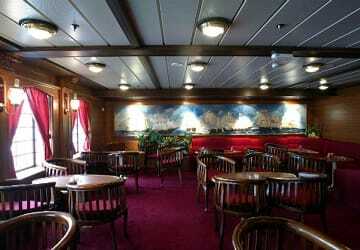 The cabin is fine and the meals are simple, but what is to say for a hot lunch for €5. There's even on board entertainment for children if they'd be up for that. We left Lanzarote at midnight and arrived on Tenerife at 5pm. We did have a 5 hour stop at gran canaria. The cabin is yours to use all day and that is quite nice.